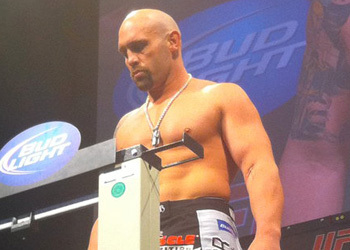 The official weigh-ins for “UFC 131: Dos Santos vs. Carwin” takes place today inside the Jack Poole Plaza in Vancouver, Canada. Stream Friday’s weight contest live right here on 5thRound.com starting at 5PM ET/2PM PT. Light heavyweight Stephan Bonnar will host a special Fight Club Q&A session at 12PM PT local time, as well. All of today’s festivities are free and open to the public. Rogers Arena was originally slated to host today’s events, but the Vancouver Canucks and their pursuit of the NHL Stanley Cup has pushed the Octagon to the side. Ice hockey will dominate the stadium tonight, but the UFC will regain control Saturday for their pay-per-view broadcast.